Scotland’s west coast is an undisputed world-class sea kayaking destination. 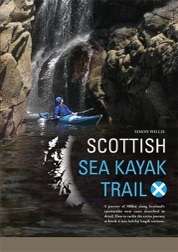 This book challenges the reader to kayak a 500km route, from the Isle of Gigha off the Kintyre peninsula, to the Summer Isles near Ullapool. It can be undertaken in four holiday-sized sections or as one long, glorious journey. Available through this website direct from the author at £17.99. The history of Scotland is inextricably linked to the west coast. From the Scoti to the Norsemen, the Lords of the Isles to the Clearances. An historical thread, woven through the text, tells ‘Scotland’s Story’. Photographs and notes help identify wildlife without disturbance, plus practical recommendations on wild camping, from minimum impact techniques to Scottish access law. There’s also the story of the author’s own journey. Together you will travel under big skies on imposing seas in the company of seals, dolphins, eagles and gulls. 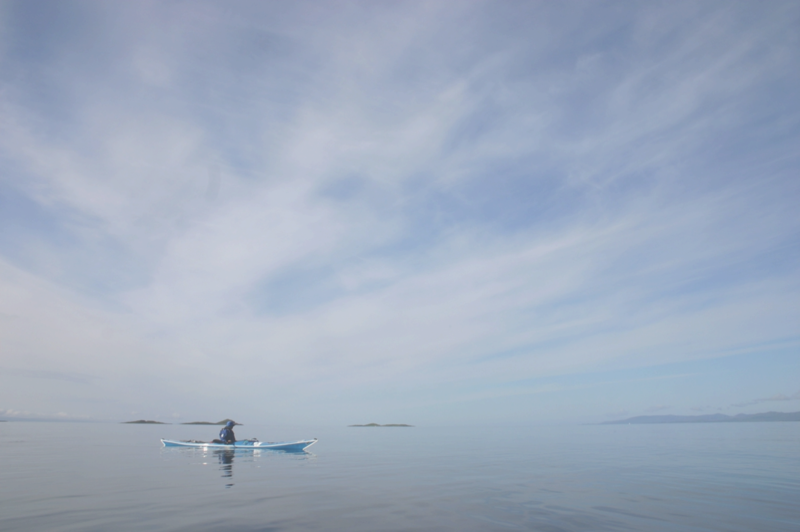 The Scottish Sea Kayak Trail is waiting for you. "...practical and entertaining... essential reading whether you're kayaking independently or as part of a group..."
Although camping is a key element of this journey the book does not identify wild camp sites. It gives sea kayakers enough information to seek out their own adventures and spread their environmental impact.